No. The print resolution is determined by other driver settings. 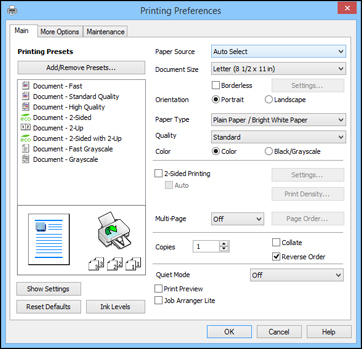 The Quality and Paper Type settings determine the print resolution. 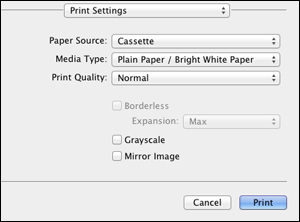 Note: To access the resolution settings in OS X, select Print from the File menu. Then select Print Settings from the pop-up menu. Published: Apr 25, 2014 Was this helpful​? Thank you for the feedback!